The Dawgs moved to 2-0 on Saturday night against a feisty Illinois team. From the get go it was obvious that U-Dub was the better team but the game was in doubt as late as the fourth quarter. If you’re reading this, you probably have already read/watched/heard about the game so I’m not going to tell you what happened. I’ll just add a few notes here and there and move on to this week. Unfortunately, there isn’t a replay on TV (with it being on the Big-10 Network) and I’m not sure I want to hear those announcers for another 3 hours anyway. In other words, I’m not going to do quite the breakdown I did against Boise. I’ve made this weird little outline that pretty much encapsulates the main notes I have on the game. Enjoy! Distractions: First, this trip seemed a little hectic for the Huskies. On the radio show today, Sark said their bus showed up late at the airport when they landed. He also mentioned that Northwestern University (their mascot is the Wildcats, if you need any more proof that they are stupid) cancelled on letting the Huskies having a walk-through on their field. This led to the Dawgs having a practice in a large, public park in downtown Chicago. Dumber Distractions: Then, the officials happened. Yes, the Huskies committed too many penalties, without a doubt. The Huskies ended with 12 penalties for 104 yards. I can remember 4 or 5 penalties I don’t particularly agree with. ASJ was called for holding without touching anyone. Danny Shelton was called for a late hit on a guy that was still in-bounds (although he did launch himself, this will usually be a penalty). Jaydon Mickens was called for a late hit and was shown walking around while the player was being tackled, so I don’t know how it could be a late hit. Josh Shirley was called for a roughing the passer penalty because he was pushed into the quarterback and his arm touched him. There were a few other holding penalties that didn’t seem quite right. If you take away just three of the four penalties I mentioned, the yardage is down to about 70 yards. That’s not good but it’s not nearly as crippling, obviously. Dumbest Distractions: The Huskies also fought off a number of trick plays. There was around ten trick plays the Illini tried. Most of them worked for about ten yards. One led to a big first down on a pivotal play and went for about 40 yards. Other than that, the Huskies survived. I hate those plays. Not as much as my fellow Good Guys hate them but I can’t stand them. It seemed fitting that the Huskies pretty much ended the game by intercepting a double pass. The Real Story: When you take into account and consider these first three points, the Huskies really dominated the game. The offense racked up over 600 yards, led by a running back who should be considered for the Heisman Trophy. The defense played fast in the first half and looked like the same team that played against Boise. They had their lapses (more on those in a minute) but they dominated a team that played with a lot of confidence and tenacity. Cause For Concern – Offense: As I said, there were lapses on both sides of the ball. First the offense. In the Red Zone, the Huskies settled for field goals twice. At the end of the half, the Huskies drove down into the red zone before stalling there. The drive ended because of some really questionable play calling. There was no running plays once the team got in there even though they had all their time-outs and there was plenty of time on the clock. The other drive that resulted in a field goal ended similarly. I know Kasen and ASJ are great Red Zone weapons but right now Sankey is our best weapon. He needs the ball no matter where we are on the field. I think Sark will remedy this problem but it’s something to be aware of. Another Cause for Concern – Offense: After really impressing in the opener, Dwayne Washington really struggled on Saturday. He had 2 carries and 2 fumbles. Not exactly the ratio you want. Dwayne will get it right, but it was a tough day for the freshman and the Huskies need him to be effective as the season goes on. Cause for Concern – Defense: The big plays that were prevented against Boise came against Illinois. The defense had a few blown coverages and Ducre was burnt for one long touchdown. That touchdown kept Illinois in the game when it looked like the Huskies were about to put it away completely. After being so sound defensively in the opener, the Huskies need to clean up some assignments and their mental game to prevent the big play. Another Darn Cause for Concern – Defense: In the second half, John Timu sat out because of a shoulder injury. It is expected that he’ll be able to return, if not this week, next week. It was apparent that Timu is very important to the defense. In the second half, Illinois moved the ball pretty well and often ran right up the middle. The defensive line got pushed around a little bit and the linebackers weren’t as effective because of that. I’m curious to see if power teams will have success running right at us, even with Timu in. Lots of Offensive Good News – Now that we have the lowlights out-of-the-way, let’s get to the good stuff. The whole offense played really well. I’ll just go position by position here. Price played a great game. He was very accurate and made good decisions. He made a few really good plays and otherwise simply controlled the game. At running back, Bishop Sankey was the star. The guy is on fire and might be the best player on the team, right now. Jesse Callier had a great return and added a few huge plays. The receivers weren’t quite as good as the opener but were still dynamic and exciting. Mickens and Smith continue to look fantastic. I expect a big game from Kasen soon, as he seems to catch the ball every time it’s been thrown at him ASJ looked a little tired and didn’t perform his best. He was on the field for over 80 snaps, which probably wasn’t the best move for his first game. The offensive line had one of the best games in recent memory. They gave Keith sufficient time and dominated the line of scrimmage. Price was sacked twice but one of those he literally ran to the defender on his right and made sure he was tackled by him. It was as weird as it sounds. Don’t Get Defensive, There’s More Good News! While the defensive came out to be the weaker link this week, they still did plenty of things right. On the defensive line, Shirley had maybe the best game of his career. He recorded three sacks, but what I think is more impressive is his two tackles for a loss. Shirley has been called a liability against the run but he proved to be solid against it on Saturday. Danny Shelton is not putting up numbers but the defense is noticeably worse when he’s taking a rest. Hau’oli Kikaha continues to get better and better. The rest of the D-line was so-so and many of the pressures were due to good coverage. The linebackers looked very quick in the first half and were often in good position to make plays. Their tackling, again, wasn’t the best but they are still one of the best groups on the team. Timu truly makes a huge difference. The secondary has played really well so far. Ducre gave up the touchdown, but that was a great play by the offense, and then came back and sealed the game with an interception. There were a few more blown coverages but the man-to-man defense was great. Review and Preview: All in all, it was a great victory by the Dawgs. After the horror of the Apple Cup last year, the team didn’t buckle when Illinois made a run at them. The Huskies toughened up when they needed to and ultimately dominated the game statistically. As they move ahead they get an easy game this week against Idaho State and a home conference opener against Arizona. The Huskies should be 3-0 and about to breach the top 15 by the time they open Pac-12 play. It’s been too long since we’ve gotten to say that. Until next time, go Dawgs! On Saturday, the Huskies won a thrilling game against California 31-23. You’ve all probably either watched the game or read the stories, so there’s not much point in me giving a blow-by-blow recap. I will point out a few things that stuck out to me. First of all, what a great birthday. Saturday was my 21st and I got to spend it with my family and my girlfriend. As far as I can remember, this was the first time my entire family had gone to a Husky game and I wouldn’t have had it any other way. To many guys, Saturdays are their day off to spend in front of the TV (or at a game) getting some time by themselves and drinking a few beers. That’s all good and I don’t mind watching a game by myself now and then, but Saturdays in the fall are family affairs at Husky Stadium and I’m so incredibly thankful for that. It was also a great birthday because the Huskies won. As we’ve all grown somewhat accustomed to, they won in a nail-biter. Our Dawgs have won 7 of their last 8 games and only 2 of those wins have been by double digits. 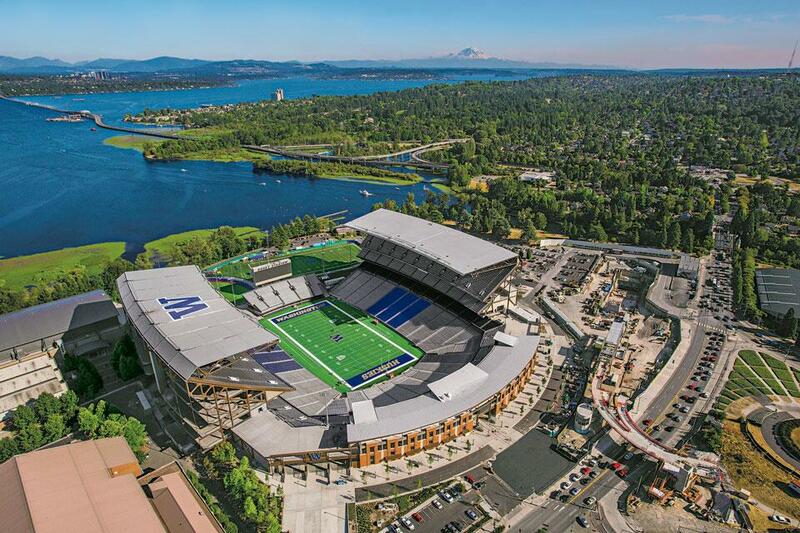 It sure would be nice to beat a time by a couple of touchdowns but, in a ploy to make more people buy season tickets because every game is nerve wracking, the Huskies have decided to make sure they win in the last second, if they win at all. Matthew and I were talking about if they will ever win in a blow-out. We decided that will happen in about 2017. With that paragraph full of sarcasm out of me, it’s amazing how far this program has come in a short amount of time. This would have been the kind of game the Huskies easily would have lost a few years ago. A few years ago, this team would have been 1-3 after 4 games. 0-4 wouldn’t be out of the question right now. Sark has done a phenomenal job and it says a ton about how far he’s taken us when we say that we expect more out of this team. And we all should expect more because this team can be quite a bit better.